Posted on 22 December 2017. BRIDGETOWN, Barbados, CMC – Journalists and other media workers from Dominica will be among the first regional recipients of assistance from the Association of Caribbean MediaWorkers (ACM) as part of a project to replace journalistic tools lost or destroyed by Hurricanes Irma and Maria earlier this year. Journalists and other media workers from Anguilla, Barbuda, Dominica and Tortola, will be receiving laptops, mobile phones, digital recorders and other equipment. The ACM’s General Secretary, Anika Kentish from Antigua and Barbuda, will present the equipment to colleagues in Dominica on Saturday. Media workers from the other islands will receive their equipment over the coming week through a number of other designated ACM focal points. For this effort, the ACM received financial assistance from Free Press Unlimited – a global media development foundation based in the Netherlands, and laptops from the North American Office of Reporters Without Borders (RSF) and the Gannett Company of the United States. This project was managed by Julian Rogers and ACM President Wesley Gibbings with assistance from representatives in the affected islands. “I also want to pay tribute to the work of Julian Rogers for keeping on top of things and ensuring that this assistance reaches journalists who suffered serious losses as a result of the hurricanes,” he added. The ACM had initiated a journalistic series in collaboration with the Caribbean Broadcasting Union/Caribbean Media Corporation (CBU/CMC) immediately following the hurricanes highlighting the work of journalists and other media workers in the affected countries. It is working on convening a symposium early in the New Year to consider the development of a protocol to guide the work of journalists before, during and after such events. This is to be done in collaboration with major stakeholders such as the CBU and the Caribbean Disaster Emergency Management Agency (CDEMA). UNITED NATIONS, Dec 9, CMC – United Nations Secretary-General António Guterres has called for countries to support a billion US dollar fund that will support critical relief operations in crises around the world, such as devastating hurricanes in the Caribbean. Guterres said the funds are necessary as humanitarian needs have increased from US$5.2 billion in 2005 to over US$24 billion today. “Over the past 12 years, CERF (Central Emergency Response Fund) has been at the forefront of humanitarian response,” said the UN Secretary-General as he thanked the 126 member-states and observers, and the other donors who have generously contributed to the fund since its creation in 2005. “CERF is without question one of our most important tools to reach people quickly and save lives,” he added. This year, the UN said CERF, managed by the UN Office for the Coordination of Humanitarian Affairs (OCHA), has funded life-saving work, allocating nearly US$130 million to help prevent famine in Nigeria, Somalia, South Sudan and Yemen. The fund also supported relief responses in other places, including for Palestine refugees in Gaza, for Rohingya refugees in Bangladesh, and those affected by hurricanes Irma and Maria in the Caribbean, the UN said. Guterres on Friday announced a CERF allocation of US$100 million to meet critical needs in nine underfunded emergencies in the Democratic Republic of the Congo, Uganda, Tanzania, Cameroon, Mali, Philippines, Eritrea, Haiti and Pakistan. “There is no sign of a let-up in humanitarian needs,” said Guterres, noting that this is why the General Assembly adopted a resolution a year ago that calls for an expansion of CERF’s annual funding target from US$450 million to US$1 billion. “US$1 billion is an ambitious but achievable goal. 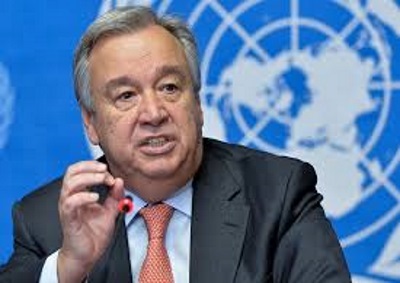 A strong United Nations needs a strong CERF,” Guterres said. Has Montserrat put its house in order? The JMC (Joint Ministerial Council) meetings have been taking place for over 10 years now. It may have been before, but we became aware when Chief Minister Dr. Lowel Lewis returned from one of them and we received a communique on the meeting. 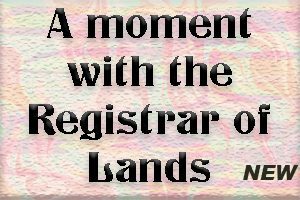 It was then we noticed that the Chief Ministers or the British Overseas Territories (BOTs) were required to sign an agreement that the government would not interfere in judicial matters. At the time we questioned the Chief Minister whether he had signed the agreement, as Montserrat government officials as a rule were not known to interfere in such matters. But we later recalled that many years before that a minister reportedly showed up at Police Headquarters in Plymouth and demanded the release of his son in dramatic fashion. The question that never got answered is whether a BOT had to sign whether or not the situation was relevant to it. There has been fall out since. Now, in more recent years special attention had been given to the Communique that comes out. What is difficult to recall ‘off the cuff’, is what specific positions had been raised or communicated within the last ten years on the poor response Montserrat had experienced in the aftermath of the volcanic demolition that still makes commentators and critics claim Montserrat to be a beggar going with open hands to HMG. The Premier at this last JMC a couple weeks ago led the charge in highlighting the Territories that had been so badly shaken/broken by hurricanes Irma and Maria three months ago and reminding or pointing out that over 20 years and Montserrat has little to show as to a recovery, back to anything near sustainable economic develepment to take it into the foreseeable future. At the beginning of the annual event for which the BOTs had been well prepared, British Prime Minister Theresa May held a preliminary meeting with the BOT leaders at Number 10 Downing Street in which she set out her government’s desire to cement the enduring partnership that existed between the U.K. and the Overseas Territories and the U. K’s ambition to support their diverse economies and natural heritage. We’ve seen some of his presentations, but have been left somewhat feeling that the Montserrat case has not been adequately taken care of, while more attention and focus was on the other territories. At the time, that may have been the prudent thing to do, but also important, we feel that an opportunity was missed to incisively highlight the predicament Montserrat faces, at this point that Montserrat must lead the discussion to remind HMG of its international and other obligations to those who especially must rely on AID to build itself. That last might have brought stronger arguments on the pitfalls to be avoided. 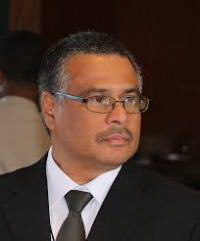 We expect and hope to see communication that upon his return the Premier would have immediately followed up with direct communication to the Prime Minister and other relevant Ministers regarding the current situation about HMG keeping their obligation and responsibility to Montserrat’s recovery firstly and serious moves to develop the island economically, socially and intellectually. After the niceties and importantly, an acknowledgement of Montserrat’s own shortcomings, mild and gross; then moving straight into the disgust, calling for investigations, we think critical and necessary to correct immediately the insulting behavior after promises and commitments to bring Montserrat, originally planned for by 2020 to self-sustainability, at least. Those shortcomings were what was referred to when ‘the’ government delegation was told, ‘go put your house in order.’ Do we understand even now? Montserrat also has obligation, especially as all our leaders love to refer to ‘partnership’. That as we have noted time and again, makes no sense to be constantly speaking all about what has not been done, when investigations will at least show that is not the whole truth. That will put you back Mr. Premier, right at the beginning, which is probably where you are now, ignoring the right moves, now or in the immediate. Let us hope that this is not too late. Even so time to get on with it. Posted on 01 December 2017. ROSEAU, Dominica, Nov 29, CMC – China Wednesday “opened a new page” of its friendship with Dominica providing the hurricane battered Caribbean Community (CARICOM) countries with economic and military aid as it rebuilds following the storm. China’s Ambassador to Dominica, LU Kun described the new agreements totalling nearly US$20 million as “momentous,” adding that Beijing was providing “more support to our Dominica friends” following the September 18 Category 5 hurricane that killed at least 28 people and left millions of dollars in damage. He said that the development “will open a new page for China-Dominica friendship and cooperation”. The Chinese diplomat said that the “signing of these agreements are not only a reflection of the valuable China-Dominica friendship but also a symbol of China’s quick and strong support to the recovery and the rebuilding efforts of Dominica after the ravages of Hurricane Maria”. He said China was all too aware of the damage caused by the hurricane, noting “we stand together more closely in face of this natural disaster. He said under the new agreement China is providing approximately US$14-million to implement post-Maria rebuilding projects, especially in the area of public infrastructure. He said that Beijing is also providing technical assistance to the island and will send agricultural experts to implement the Seventh Agricultural Technical Cooperation “as soon as possible which will help Dominicans revitalize the agricultural industry. 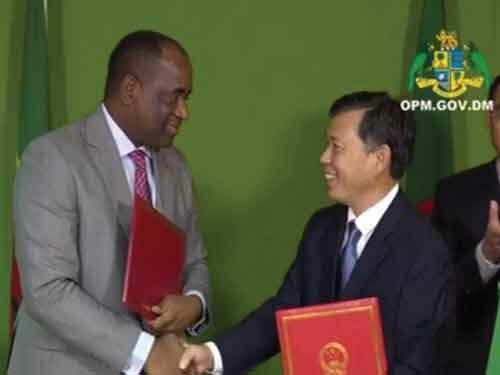 Prime Minister Roosevelt Skerrit who signed the agreements said that US$14 million agreement will be used for the construction of “smart climate resilient schools for our citizens and our students” and has given the Ministry of Education eight days to submit proposals for the schools to be considered which will be forwarded to the Chinese government. Skerrit used the opportunity to re-state his administration’s support for the “One China” policy and that Roseau would continue to accept the measure “as a matter of principle. “You do not know who your friends are in good times, you know who your friends are in difficult times and China continues to demonstrate its full friendship with Dominica in our worst difficult circumstances,” he said, reminding the audience that in 2004, his administration had taken the decision to have diplomatic relations with China rather than with Taiwan which China considers a renegade province. “We continue to respect international law and we continue to respect that there is but One China as a matter of principle. So rest assured of my government continued support to the One China Policy and doing all we can for the peaceful unification of the whole of China,” he told the ceremony. The Commonwealth of Dominica was impacted significantly by Hurricane Maria, a category 5 storm leaving behind a trail of devastation and over 50,000 people displaced. 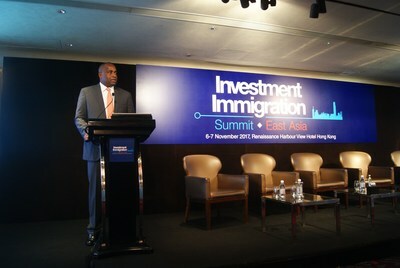 Earlier this month, Prime Minister Roosevelt Skerrit gave the opening address at the Investment Immigration Summit East Asia in Hong Kong. Prime Minister Allen Chastanet of St Lucia also made an appearance at the Investment Immigration Summit in Hong Kong. When interviewed by the Investment Migration Insider, he confirmed that St Lucia will be accepting other currencies as part of their CIP programme, and are looking at the possibility of getting their domestic bank, Bank of St Lucia, to open a branch in Dubai as part of the IFC. Chastanet hopes to have it up and running before the end of the year, if not, by early January. They will be looking at accepting the Euro and the Yen first, and possibly Bitcoin. The investment migration industry is now looking towards the Middle East and North African region and hoping to tap into the potential of this market. The sister event of the Hong Kong Summit, the 4th Annual Investment Immigration Summit MENA (IIS MENA), is coming to Dubai on 25-27 February 2018. The conference and exhibition will offer the latest and most comprehensive information on investment immigration programs from around the world including the USA, European Union, Canada, the Caribbean, Australia and the Pacific Islands. It will showcase the latest content offerings for the local Middle East market, focusing on the alternative pathways to migration. Other key topics at the Summit include the Common Reporting Standard (CRS) that the Organisation for Economic Co-operation and Development (OECD) developed in 2014, the latest trends for outbound investment migration in the MENA region, how to effectively manage and utilize dual citizenship, the relationship between wealth management, tax planning and citizenship by investment, addressing the global perception of citizenship-by-investment programs, and new investment programs entering the market. The Summit will provide a platform for MENA migration agents along with High Net Worth representatives from the region, who have interests in overseas investment and migration opportunities, and are looking to secure a better future via the Citizenship by Investment and/or permanent residency options. The 2-day conference with the workshop day will be presented in English. For further inquiries, email marketing@beaconevents.com. Investment Immigration Summit World Series offers a unique angle which not only gives you unique access to the most updated information on the global investor market, intelligence on the latest trends driving HNWI interest but also the latest development in CRS and key tax strategies for the globally mobile while providing a platform for a comprehensive array of investment immigration programmes from around the world. The last 12 months have seen huge changes in the political landscape around the globe. From Brexit to the US election among a number of notable developments such as the CRS, demand for better due-diligence on applicants and so on, there is need for a period of reflection across the investment immigration industry. Beacon is a major conference and exhibition organizer, producing first class international events that meet the challenges facing major business sectors today. Beacon’s focus is on large-scale, must-attend events that are independently researched and tailored to deliver unbiased and focused market information. From Finance & Investment, Mining & Technology, to Gaming events and conferences, we deliver the critical business information which enables success. 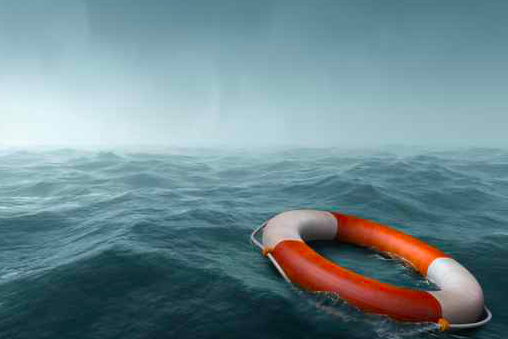 CASTRIES, St. Lucia, Nov 18, CMC – Two people were airlifted to safety via helicopter after their sailing vessel – ‘Tyago’, sank between St. Lucia and St. Vincent and the Grenadines. The marine authorities reported that a search for the two began late Thursday. Two ships in the area – the French flagged ‘Club Med 2’ and the Liberian registered container vessel ‘San Cristobal’, took part in the search and rescue operation along with the French navy frigate ‘Ventose’. The two men, whose identities have not been released, were hoisted to safety by helicopter after spending five hours in the water clinging to a cooler. 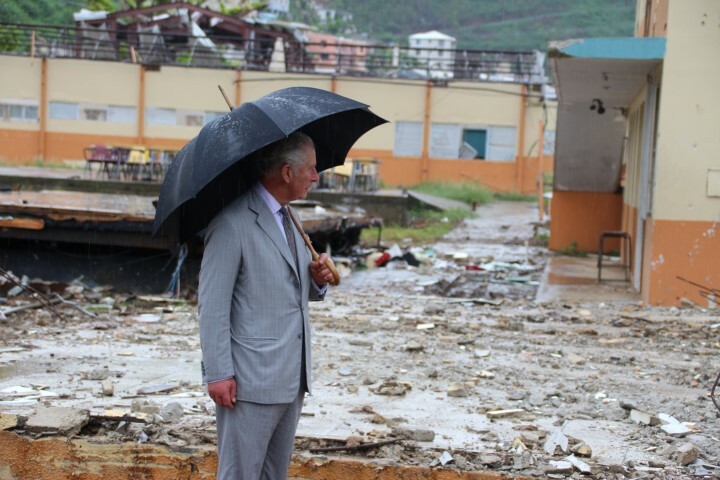 The Prince of Wales, Prince Charles made his first visit to the British Virgin Islands on Saturday for a first hand look at the devastation caused by Hurricanes Irma and Maria. Accomanied by British Member of Parliament Penny Mordaunt, Secretary of State for the Department for International Trade, the Prince briefly toured Tortola and met local communities to hear about the ways they have been recovering since the BVI was hit by the hurricanes. Charles also visited the Youth Empowerment Project (YEP), “which has fought back since the storms to get up and running. “There, he met some of the young people who have been a part of new support programs, which encourage them to talk about storm experiences and equip them with practical life skills to cope with difficult living conditions,” said the BIV Government in a statement late Saturday. Prince Charles who is also the President of Red Cross, visited the local branch where he was introduced to a several volunteers, including Deniese Gardener, “who risked her life in the middle of the storm, along with two others, to rescue a local woman. This was Prince Charles’ first official visit to the BVI and the first Royal visit since the Duke of Gloucester in March 2012, the statement said. “I was honored to welcome His Royal Highness to the Virgin Islands to show him the devastating impact of Hurricanes Irma and Maria,” said Governor Augustus Gaspert. “Their destructive force was unprecedented, and the lives of many on the island are still challenging. But, with the incredible community spirit and support from friends overseas, we are now on the road to recovery. “It has been inspiring to see the resilience of our community over these last two months, and it was my pleasure to share this and a few stories of the heroic acts since then with His Royal Highness,” the governor added. BONN, Germany, Nov 19, CMC – Caribbean and other island-nations, with no time to lose, are taking climate response into their own hands. Following two weeks of negotiations on bolstering the Paris Climate Change agreement, leaders on Friday said their hopes that island issues would take center stage have mostly been dashed. The New York Times reports that almost none of the measures to help their countries adapt to the impacts of global warming have been resolved, and few delegates said they were hopeful the final hours of talks would bring decisions. “I’m anxious, and I’m fearful,” said Prime Minister Allen Chastanet of St. Lucia. From rising seas to the loss of fresh water, islands are among the most vulnerable nations to global warming, the Times said, noting that hurricanes, expected to become more ferocious with climate change, pummeled Caribbean island-nations into crisis this summer. Hurricane Irma destroyed nearly every car and building on the the island of Barbuda and swelled the population of Antigua overnight as thousands of Barbudans sought shelter. Hurricane Maria knocked out power across the United States Virgin Islands and Puerto Rico and left Dominica in tatters. Small islands also are among the smallest contributors to climate change, producing less than 1 percent of global greenhouse gas emissions and leaders of the industrialized world said they owe some recompense for the disasters these vulnerable nations will suffer in the years ahead. But it’s reported that hopes are waning that Caribbean island-nations will see a major increase in financial support to help address the consequences of climate change. On Friday, here created an expert group to formally include the issue of helping vulnerable Caribbean and other countries with immediate needs, known as loss and damage, in the United Nations climate process. So far, it said the biggest news came midweek, when Germany and Britain announced funding for a long discussed partnership to promote insurance coverage in island-nations vulnerable to disasters. “It can help people recover from floods or cyclones. But it doesn’t help against slow onset events like sea-level rise — no one will insure against that,” said Harjeet Singh, global head of climate change for ActingAid. He also noted that many of the details of the new insurance proposal were still vague, like how much relatively poor island countries would have to pay in premiums. The UN Climate Change Conference (COP23) wrapped up, with delegations expressing a renewed sense of urgency and a need for greater ambition to tackle climate change. 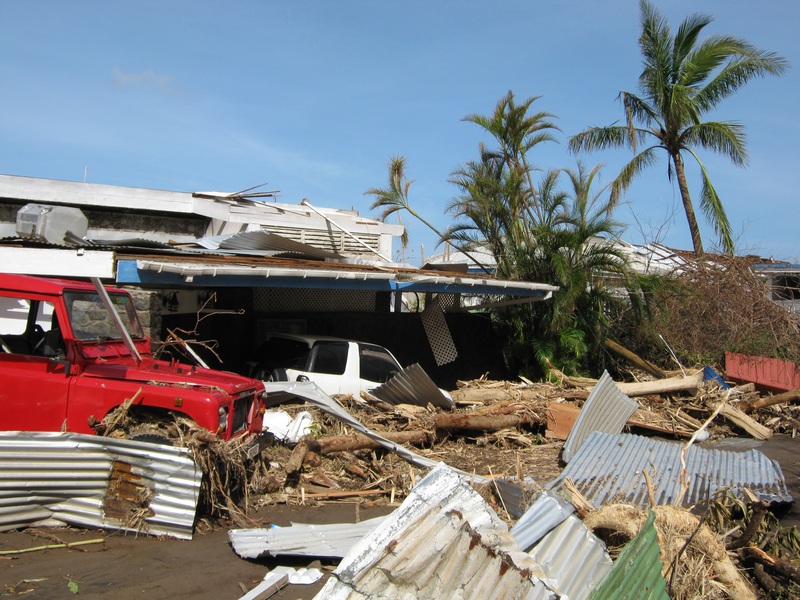 The conference, which ran from November 6-17, was chaired by Fiji, an island-state particularly affected by the impacts of climate change. The Fiji Presidency announced an agreement on a Gender Action Plan, highlighting the role of women in climate action. 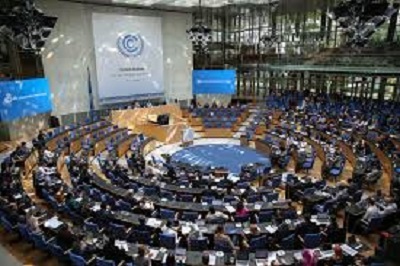 Apart from negotiations among Parties to the UN Framework Convention on Climate Change (UNFCCC) , the UN said several new climate action initiatives, commitments and partnerships were announced by states and non-state actors in the areas of energy, water, agriculture, oceans and coastal areas, human settlements, transportation, industry, and forests. Climate finance and climate resilience were also at the center of the discussions at the conference, the UN said. It said more than 20 countries, including the Canada, Finland, France, Mexico, and the United Kingdom, launched a new global coal alliance aimed at achieving the rapid phase-out of existing traditional coal power and at placing a moratorium on any new traditional coal power stations without operational carbon capture and storage. The conference took place one year after the entry into force of the Paris Agreement. The agreement, which was adopted by the 196 Parties to the UNFCCC in December 2015, calls on countries to combat climate change by limiting the rise of global temperature below 2 degrees Celsius and strive not to exceed 1.5 degrees Celsius, the UN said. On Friday, 70 Parties have ratified the treaty. A week before the opening of the conference, the World Meteorological Organization (WMO) announced that the levels of carbon dioxide (CO2) in the atmosphere surged at “record-breaking speed” to new highs in 2016. The UN said COP23 will be followed by a series of summits and conferences on climate change, which are scheduled ahead of the UN Climate Summit in September 2019, including the “One Planet” summit to be convened by France next month. The “One Planet” summit focuses on financing, a gathering in California, bringing together non-State actors, and the COP24 in Katowice, Poland, in December 2018, the UN said. Brazil has offered to host COP25 in 2019. BRIDGETOWN, Barbados, Nov 20, CMC – Britain is providing more financial assistance to Antigua and Barbuda as well as Dominica to help recovery and long-term reconstruction on the islands following the devastation caused by Hurricanes Irma and Maria in September. International Development Secretary Penny Mordaunt, who accompanied Prince Charles on a visit to the two hurricane ravaged countries over the weekend, set out a new £15 million (One British Pound=US$1.32 cents) package for Dominica and Antigua and Barbuda. Dominica will receive £12 million and Antigua and Barbuda three million pounds. The visiting British government official said this in addition to a further £15 million recently allocated to the affected Overseas Territories. “We can be proud that in their time of crisis the United Kingdom stepped up to provide the vital immediate relief that was fundamental in getting these islands back on their feet,” said Mordaunt. “The UK aid mission was huge, covering small islands stretching more than 1,000 miles apart, where buildings, airports and infrastructure had been razed to the ground. I want to pay tribute to the governments of the Overseas Territories, our humanitarian staff and to the military effort, which has been absolutely essential in delivering relief. “Now as we move on from the immediate response phase, on to the long-term future of the islands, Britain will continue to stand by people whose lives were devastated. We are also talking to the international private sector who can support the reconstruction efforts to make sure the islands can build back, and better,” she added. The support package, which brings the total UK contribution to £92 million, will include £10m to help Dominica to rebuild critical infrastructure damaged during the hurricanes. The United Kingdom’s contribution to Dominica also includes an additional two million pounds for early recovery, building on the five million pounds committed in September. London said that for Antigua and Barbuda, it stands ready to assist with a three million pound fund which will be deployed once the priorities for reconstruction on Barbuda are agreed with the local government. For the Overseas Territories of Anguilla, the British Virgin Islands and Turks and Caicos, the £15 million is delivering accelerated power reconnection and support to prisons, repairs to air and sea ports and support for policing. This is short-term funding to aid the territories’ early steps to recovery. At the World Bank meetings last month the UK announced a private sector task force will mobilise business to play a prominent role in the reconstruction in the Overseas Territories. The task force will identify and drive forward practical ways of increasing flows of private sector financial support to reconstruction in the region. 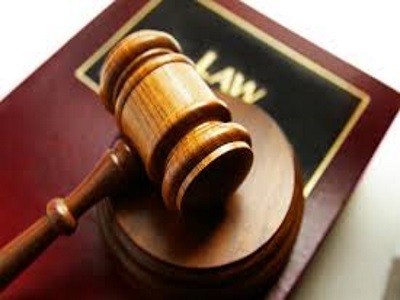 HAMILTON, Bermuda, Nov 20, CMC — The Court of Appeal has quashed a mother’s conviction for money-laundering, but has increased her son’s sentence for running a drug-smuggling operation by six years. Denise Morris, 55, was given a 12-month suspended prison sentence earlier this year after a jury found her guilty of possessing more than US$15,000 in criminal proceeds that prosecutors said her 26-year-old son Damon had earned from drug dealing. The mother appealed against her conviction and the Crown appealed against the 12-year sentence given to her son on the grounds it was too low. The son was initially jailed for 12 years for orchestrating a major drug smuggling operation to import large quantities of heroin and cocaine into Bermuda. The Court of Appeal has overturned the mother’s conviction and ruled there was no evidence to suggest that the money found in her bedroom closet was the proceeds of crime. The panel also found that trial Judge Charles-Etta Simmons had erred by not dismissing the charge against the mother at the end of the prosecution’s case. The appeal judges also ruled that Justice Simmons should have added an extra 50 per cent to the son’s prison term due to the seriousness of the drug offences and increased his sentence to 18 years. Jurors heard at the original Supreme Court trial that in December 2015 an airline passenger was stopped as he arrived at L.F. Wade International Airport. An X-ray revealed that he had swallowed several items that he later excreted and were found to be 86.38 grams of heroin with a street value of US$253,380. Police later arrested Damon Morris on conspiracy to import controlled drugs after an investigation. KINGSTOWN, St. Vincent, Nov 20, CMC – Attorneys for the main opposition New Democratic Party (NDP) have filed an amended motion for inspection of the ballots and counterfoils used in at least one constituency in the 2015 election that was won by the ruling Unity Labour Party (ULP) of Prime Minister Dr. Ralph Gonsalves. In addition, the lawyers have filed a supplemental affidavit in support of the amended draft order being sought by Ben Exeter, the NDP’s candidate in Central Leeward, who has brought one of two petitions challenging the outcome of the vote. 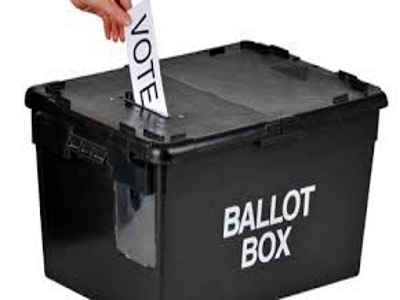 “The key objective is to clarify further for the court the particulars based on which it should make the order for inspection of the used ballots and counterfoils in all 15 ballot boxes,” a source with knowledge of the case told the Caribbean Media Corporation (CMC). The motion comes up for hearing on December 12 and 13. Exeter’s case is essentially that all ballots were designed contrary to how the election rules prescribed. The NDP’s legal team is arguing that as a result of this alleged flawed design, the presiding officer handled the ballots improperly, and invalidated them by omitting to endorse the official mark and/or by the official mark appearing on them in such a manner that over 90 per cent of the ballot could not be folded so that the initials of the presiding officer and the official mark can be seen without opening them, as required under the Rules. The NDP’s legal team is also arguing that the returning officer, Winston Gaymes, counted all these “invalid ballots” at the final count — against Exeter and his representatives’ objections. The attorneys said the Organization of American States (OAS) report on the election confirmed this and that Gaymes swears under oath he counted the ballots despite his knowledge that all the ballots cast at polling station CLF were invalid pursuant to the rules. The lawyers for the NDP are asking the court to order Supervisor of Elections Sylvia Findlay-Scrubb to deliver to the Registrar of the High Court the documents relating to the election held in Central Leeward on December 9, 2015. They are also asking the court to grant an order that the Registrar of the High Court open the ballot boxes in the presence of Exeter and/or his representatives and that permission be granted for the Registrar and the petitioner and or his representatives to inspect all ballot papers contained in the ballot boxes with a view to determining the accuracy of a number of allegations. Gonsalves led the ULP to an 8-7 victory in the December 2015 polls for a fourth consecutive term in office. CHARLESTOWN, Nevis, Nov 20, CMC – The leader of the ruling Concerned Citizen’s Movement (CCM), Mark Brantley, says his party if re-elected to office will bring into effect the Integrity in Public Life Ordinance “a matter of urgent priority”. The CCM had come under criticism from the main opposition Nevis Reformation Party (NRP) regarding the delay in bringing the integrity legislation into effect following its passage in the Nevis Island Assembly (NIA). “I can assure the public this is a matter that is very important to us and will be operationalized in the next term of the Concerned Citizens Movement as a matter of urgent priority,” Brantley told WINN FM radio station here. “So we had to go back to the drawing board in relation to that and so that ended up leading to considerable delay. There was of course legislation passed in St Kitts at the federal level and there was a question of how those two would interact,” he told radio listeners. Former attorney Patrice Nisbett had been critical of the NIA for not implementing the legislation which the CCM had brought to Nevis parliament shortly after its election to office. He said under the CCM there is rampant corruption in government, which is what Integrity in Public Life legislation is designed to safeguard against. “They told you that there was no decency, there was no integrity, they told you that corruption was rife within the NRP led administration. They told you that they were going to return integrity and honesty and decency to government. “In 2013 the Nevis Island Assembly passed an Integrity In Public Life ordinance and you know up to today that ordinance has not commenced. It is there gathering dust on the statute books of Nevis, it was not meant to gather dust, it was meant to ensure that there was accountability, transparency and integrity in public life in Nevis,” Nisbett said, adding “and I’m sure you have heard from various quarters the rampant and open nepotism that is occurring over on the island of Nevis.”had campaigned on a good governance and transparency platform in the last election, but political observers note that the Integrity in Public Life Act passed by the then Denzil Douglas-led government in September 2013 has not yet gone into effect. KINGSTON, Jamaica, Nov 21, CMC – Desmond Ballentyne, the colourful dancehall deejay known as “Ninjaman” will re-appear in court on December 15 for sentencing after he and two other persons including his son, were found guilty of murder on Monday. The seven-member jury deliberated for more than three hours in the Home Circuit Court before returning the guilty verdict against the singer, his son, Janiel, and Dennis Clayton. The three were accused of the murder of Ricardo Johnson, also known as “Trooper”, in March 2009. 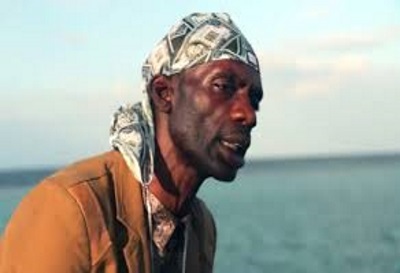 Ninjaman was found guilty of murder and shooting with intent, while his co-accused were convicted of murder after the jury heard testimony from the main witness whom the prosecution named only as “Witness A”. He was arrested in 2009 and remanded in custody for three years before being offered bail. Director of Public Prosecutions (DPP) Paula Llewellyn told reporters that the murder had its foundation in a domestic dispute between two tenants that escalated on March 16, 2009 and continued the following day. “One tenant contacted her granddaughter, who was the babymother of Clayton. The other tenant basically had ‘Witness A’ dealing with the matter. 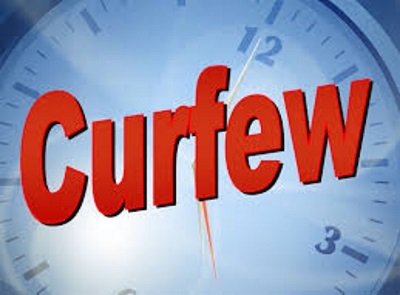 Out of that threats were issued and the following morning, on the 17th of March, 2009, Desmond Ballentyne, his son Janiel, and Dennis Clayton returned to the scene,” Llewellyn said, adding that just before the shots were fired, Ninjaman and his son were seen with guns. 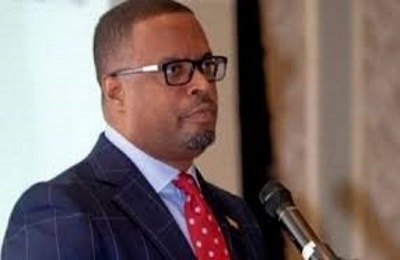 The DPP said that on March 17, Johnson, who had gone to visit his friend, who was inside the yard talking when Clayton and other men, including Seymour Samuels, who was also accused but has since died. An argument developed between Clayton, Johnson and the key witness; however, Clayton and his friends left the yard. But shortly after there was a stone-throwing incident between the parties after which Clayton threatened to kill the witness, according to the DPP. She said Clayton, who was armed with a cutlass, was seen among a group of people who were talking and pointing in the witness’s direction. Shortly after, Janiel Ballentyne was seen in a motor car that drove to Johnson’s gate and stopped. He alighted and confronted Johnson and ‘Witness A’ . Subsequently, the men went to their respective homes on Lower Marl Road. Minutes later, Johnson went to the witness’s house. Hours later the car returned with Ninjaman, his son, and Clayton who all threatened to kill the men. The DPP said that in an attempt to get away both men went through a hole in a fence. The witness said he saw Johnson, armed with a cutlass, chopping and pushing the fence to prevent his attackers from entering through the hole. “So in all the circumstances, the Crown used circumstantial evidence to infer that not only were they properly identified, not only were Jeniel and Desmond Ballentyne armed with guns, but that they were the persons who fired, causing the demise of Ricardo Johnson,” Llewellyn said. WASHINGTON, Nov 21, CMC – The United States government Monday terminated Temporary Protected Status (TPS) for nearly 60,000 undocumented Haitian nationals living in the United States. Duke said the decision follows then-Secretary John Kelly’s announcement in May 2017 that Haiti had made “considerable progress, and that the country’s designation will likely not be extended past six months. “The decision to terminate TPS for Haiti was made after a review of the conditions upon which the country’s original designation were based and whether those extraordinary but temporary conditions prevented Haiti from adequately handling the return of their nationals, as required by statute,” Duke said. “Based on all available information, including recommendations received as part of an inter-agency consultation process,” Duke said, adding that she determined that “those extraordinary but temporary conditions caused by the 2010 earthquake no longer exist. “Thus, under the applicable statute, the current TPS designation must be terminated,” she said, stating that she met with Haitian Foreign Minister Antonio Rodrigue and Haitian Ambassador to the United States Paul Altidor recently to discuss the issue. She said these included but were not limited to community forums on TPS, panel discussions with Haitian community organizers, stakeholder teleconferences, regular meetings with TPS beneficiaries, news releases to the Haitian community, meetings with Haitian government officials, meetings at local churches and listening sessions. Since the 2010 earthquake, Duke said the number of displaced people in Haiti had decreased by 97 per cent. In May 2017, Kelly, now White House Chief-of-Staff, announced a limited extension for Haiti’s TPS designation, stating that he believed there were indications that Haiti – if its recovery from the 2010 earthquake continued at pace – may not warrant further TPS extension past January 2018. At the time, Kelly said that his six-month extension should give Haitian TPS recipients living in the United States time to attain travel documents and make other necessary arrangements for their ultimate departure from the United States, and should also provide the Haitian government with the time it needs to prepare for the future repatriation of all current TPS recipients. 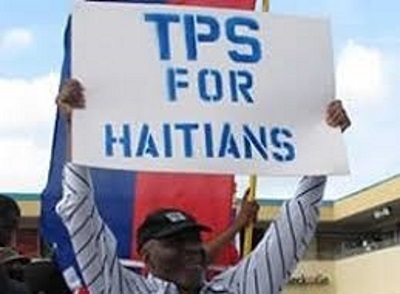 “To allow for an orderly transition, the effective date of the termination of TPS for Haiti will be delayed 18 months,” Duke said, adding “this will provide time for individuals with TPS to arrange for their departure or to seek an alternative lawful immigration status in the United States, if eligible. Duke said Haitians with TPS will be required to reapply for Employment Authorization Documents in order to legally work in the United States until the end of the respective termination or extension periods. The decision, while not a complete surprise, set off immediate dismay among Haitian communities in South Florida, New York and beyond. Haiti, the poorest country in the Western Hemisphere, is still struggling to rebuild from the earthquake and relies heavily on money its expatriates send to relatives back home, the New York Times reported on Monday. The decision to terminate TPS for 58,000 Haiti nationals living in the US comes 14 days after DHS announced it was terminating TPS for 2,500 Nicaraguans and delaying a decision for 57,000 Hondurans, which automatically gave them a six-month extension after their current status expires in January. The announcement, while pleasing to immigration hardliners who argue that the provision was never meant to be permanent, deals a hard blow to long time Haitian and immigration advocates, the Miami Times reported. It said that, for months they lobbied the Trump administration to extend the status for at least 18 months. It had been set to expire January 22. “Haiti is not ready to absorb 58, 000,” said Marleine Bastien, a South Florida Haitian activist who has pushed for at least an 18-month extension of TPS. “It’s going to be a disaster for the 58,000 families in the US and a disaster for Haiti. “Clearly, they are not making decisions based on facts on the ground, but rather politics. This is purely unacceptable,” she added. Members of the United States Congress from South Florida also reacted with dismay with Florida Senator Bill Nelson, a Democrat, describing the decision “unconscionable,” and urging the administration to reconsider its position. Congresswomen Ileana Ros-Lehtinen, a Republican, and Frederica Wilson, a Democrat, both vowed to look for legislative solutions. The rebuilding of Dominica’s food production sector has been given a boost by the Inter-American Institute for Cooperation on Agriculture (IICA) and the OECS Commission’s Agricultural Unit. The industry was left decimated with the passage of Hurricane Maria on 18 September. 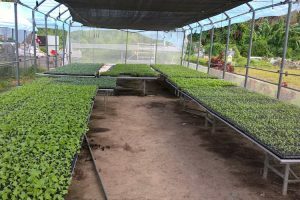 In an effort to stimulate recovery, more than 130,000 seedlings have been planted in Dominica, with many more distributed to the island’s famers. Funding has been provided for the rapid production of seedlings by the OECS Commission’s Agriculture Unit under the IICA-Caribbean Agricultural Research and Development Institute’s Agricultural Rehabilitation Budget. The support is being used for the rehabilitation of greenhouses, irrigation equipment and input for the maintenance of nurseries in Roseau and Portsmouth, which have a combined weekly distribution to farmers of around 30,000 plants a week. Peter Dillon, special agricultural advisor to the OECS Director General, said the seedling re-planting scheme was established to accelerate food security for Dominica’s residents leading into the New Year. Quick growing crops will include cabbage, lettuce, tomatoes, eggplant, string-beans, sweet peppers, cucumbers and watermelons. “We have been distributing seedlings to commercial and ‘backyard farmers’ and supplying the Portsmouth Agricultural Station which provides food for the retirement home and hospital. “We are now working to expand that distribution to other communities in Dominica to enable localised food security. OECS Director General Didacus Jules thanked the IICA for their contribution to Dominica. BONN, Germany, Nov 16, CMC – Dominica’s Prime Minister Roosevelt Skerrit Thursday came to the United Nations Climate Change Conference (COP23) with a shopping list of more than US$200 million as he reminded the international community of the disaster brought upon his country by Hurricane Maria on September 18 this year. “Hurricane Maria was reported to be one of the most rapidly intensifying storms in recent history. Our citizens barely had time to prepare before the ferocious winds and incessant rain began assaulting our nature island,” Skerrit told the COP23 that ends here on Friday. The conference is discussing the implementation of the Paris Agreement, the accord within the United Nations Framework Convention on Climate Change (UNFCCC) dealing with greenhouse gas emissions mitigation, adaptation and finance starting in the year 2020. Skerrit told the conference that the Category 5 storm left, according to the assessments conducted by the World Bank Group and other international agencies, 90 per cent of buildings either damaged or destroyed, over 22 per cent of gross domestic product (GDP) wiped out with major damage sustained to agriculture, tourism and housing sectors. He said public infrastructure was severely impacted and forests decimated. “Two months later 95 per cent of the country remains without electricity, our water systems are compromised, and many citizens remain displaced and in shelters. This, ladies and gentlemen, is the reality of climate change. Within a few hours an entire country was brought to its knees by the forces of nature. Skerrit said that Dominica knows the potential impact of climate change and of countries that may disappear. “How many of the countries that continue to pollute the planet had to suffer a loss of two hundred and twenty four percent of their GDP this year? Distinguished ladies and gentlemen I present to you today that our countries remain under threat. “How many of our vulnerable small island developing states have been able to access green climate funds to make us more climate resilient? What mechanism is there for us to be able to access emergency funds when facing a disaster like that caused by Maria? “We have been put on the front line by others. We were the guardians of nature. We have not contributed to global warming. Sixty percent of Dominica is covered by protected rain forests and has been so long before climate change. Skerrit said that SIDS were growing weary waiting for the world to hear their cries. “We hear that now is the time to act. We read headlines of funds set aside. We smell the sweet fragrance of agreements, promises and commitments. But we grow weary waiting. Ladies and gentlemen, despite the hardship we face we have decided to raise our standard. The Dominica Prime Minister said that the international community has an opportunity now to truly demonstrate its commitment to battling the effects of climate change, saying “we need you to partner with us to build a truly climate resilient nation a nation adapted to the new reality of fiercer, more frequent and more ferocious storms”. Skerrit said that Wednesday night’s high level event provided the platform where a selection of non-party stake holders championed the critical message of accelerated climate action and how best to bridge the gap between non-party actors and negotiations. Skerrit said that the World Bank Report supports that US$90 million is needed to rebuild and make schools, hospitals and clinics climate resilient in Dominica. Sketrrit told the conference that this isn’t a rash promise, saying “it is what we are struggling to do today. “But battered as we are we stand before you today awake and tall to the challenge. We call for your assistance, support and partnership. We ask you to not allow climate change to be reduced to a cultural war fought from armchairs. “We ask you not to allow the sceptics to sneer saying ‘I told you COP was all hot air’ and that ‘nothing real will change’. I urge you today not to betray the Paris Agreement! Operationalise Paris. Give meaning to Paris.Now. Not on paper, but here in this forum! Stand with us. 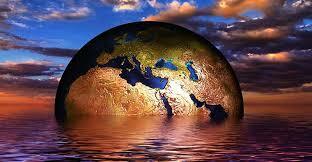 Pledge today to help fund the first climate resilient nation,” Skerrit said. A brother’s sandals. A flag of Afghanistan. A daughter’s favorite toy. These are some of the remnants of Afghan lives lost to violence during the past 40 years of conflict.